A motor vehicle accident, also referred to as a “traffic collision” or a “car accident” occurs when a motor vehicle strikes or collides with another vehicle, an animal, an object, or a person. Some accidents result only in property damage, but others result in severe injuries or even death. Common causes or motor vehicle accidents include speeding, using a device, fatigue and poor weather conditions. Symptoms or signs of being in a motor vehicle accident include headaches, neck shoulder pain or stiffness, back pain, abdominal pain or swelling, whiplash, numbness, changes in personality or physical function, PTSD, inability to concentrate, blurred vision, nausea, abnormal sleep patterns, and lack of energy. 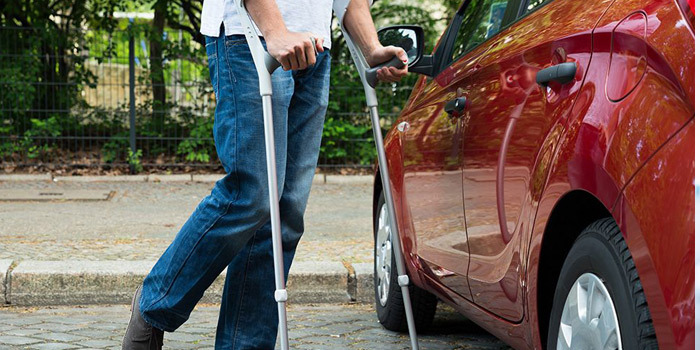 Treatments for motor vehicle accident include physiotherapy treatments. These treatments include mobility, stability, and strength exercise to help regain strength in muscles and the body. Other treatments include acupuncture and manual therapy to improved function and eliminate pain symptoms.